Pinarello has sponsored several professional teams since 1960 – Team Banesto (Indurain), Team Telekom (Ullrich), Caisse d’Epargne(Valverde), Fassa Bortolo (Petacchi), Team Sky (Froome), Movistar (Quintana) among the others. 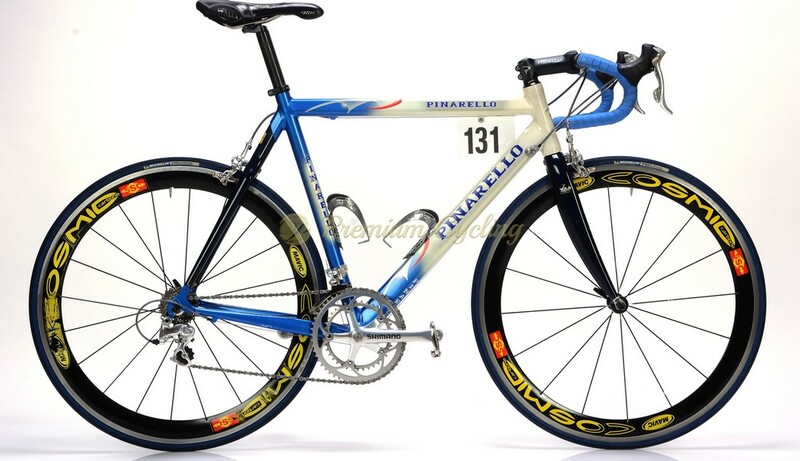 In the last 30 years Pinarello bikes won incredible 13 Tour de France titles. Alessandro Petacchi (born 3 January 1974, La Spezia) is a former Italian pro-cyclist, sprint specialist. Petacchi has won 48 grand tour stages with wins of the points jersey in the Giro, Tour and Vuelta. He also won the classics Milano-San Remo and Paris-Tours. Over 18 years, he won 183 victories and because of his incredible speed he got a nickname ”ALE-JET”. 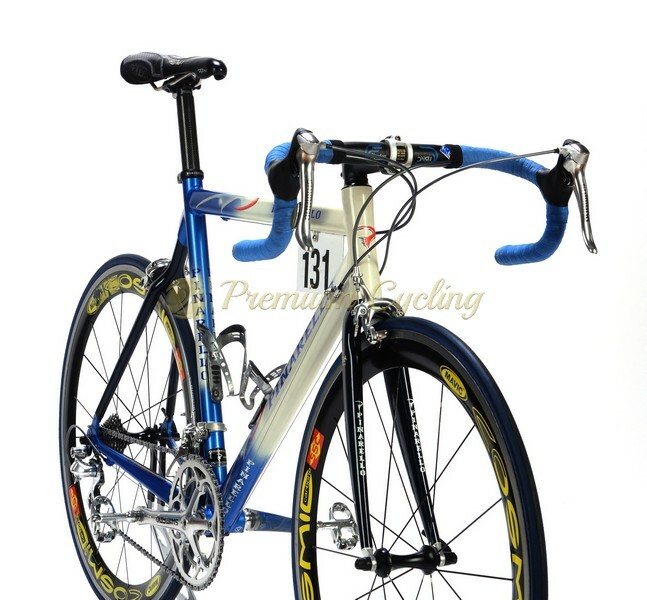 Here we are proudly offering this winning machine from 2001 – Pinarello Prince Fassa Bortolo Team Edition, one of Alessandro Petacchi‘s spare bikes. Superb frameset (marked FB2 on the bb shell) made of Dedacciai Aluminium with carbon Vola fork and seatstay build with Shimano Dura Ace Team Edition 7700 groupset and Mavic Cosmic SSC wheels, Selle Italia Flite saddle. Great catch for any team bike collector. Fair price. Condition: Used, but good condition. The frame has no cracks, no dents, not bent. Original paint and decals. Groupset is in very good condition. All parts are working fine.